Your welcome to the distillery. The stills seen from the entrance. 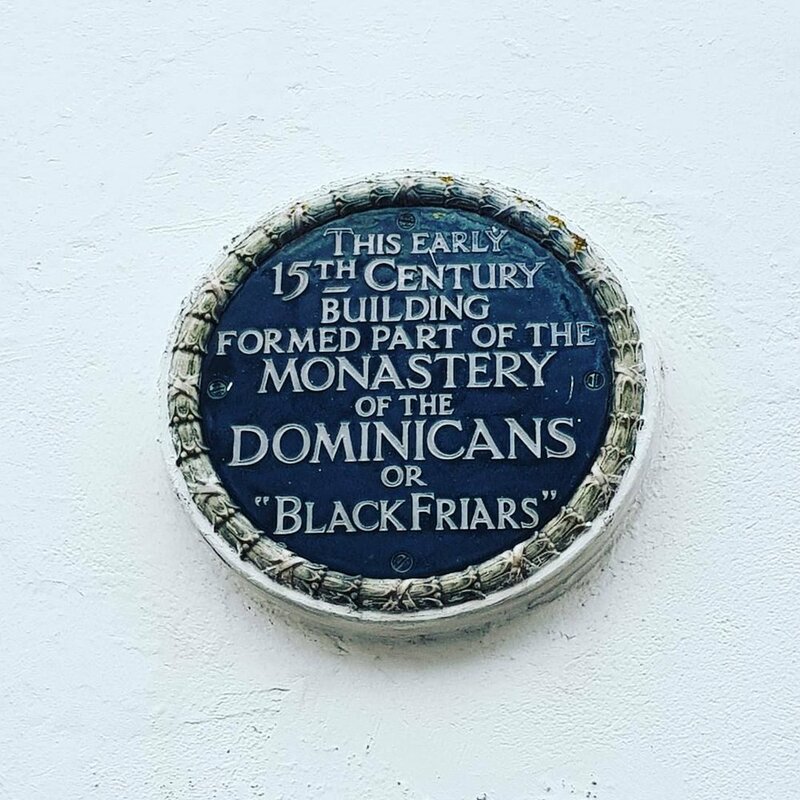 Note: you can't take photos on the tour so I have included some taken from outside. The tour is approximately 40 minutes and costs £7 at the time of writing. We were lucky to get in at the end of the day when the distillery smells of the freshly made gin (it only takes around 7 hours for the whole process from start to finish). The slightly humid, botanical atmosphere really helped set the scene. 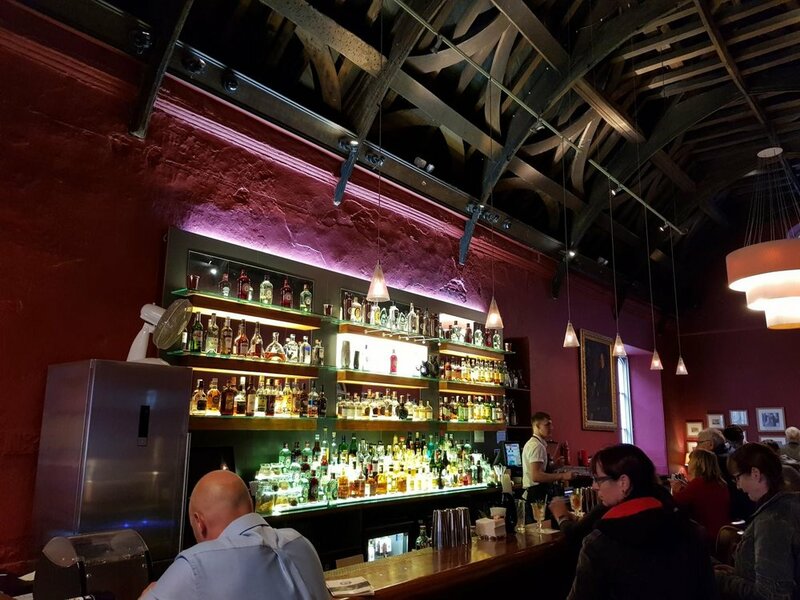 You are led through the history of the building and the distillery from when it was a refectory, through the boom as the Navy's favoured tipple, the bust of the post war years and on to the present day. This is all done in front of a large timeline on the wall. A potted version can be found on their website. 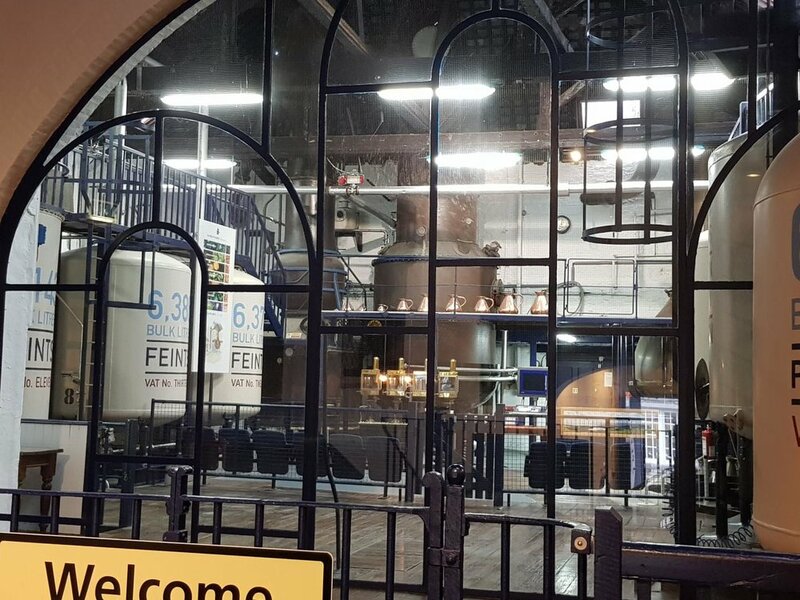 Once you pass through into the distillery proper you are greeted by the sight of original Victorian stills. The smell of the freshly made gin was strongest here and really helped to underline the points being made by our tour guide. I won't spoil the talk but it is informative and well told. 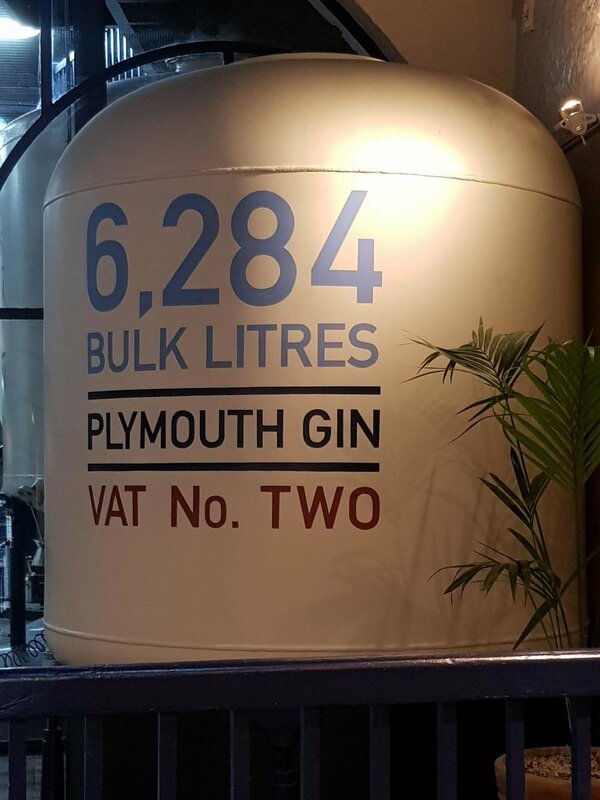 After the distilling process the gin is at around 90% alcohol and is then watered down to make the different strengths of gin. Finally you are led into a low ceilinged tasting room. Here you are walked through the various botanicals in the gin while you taste it neat. 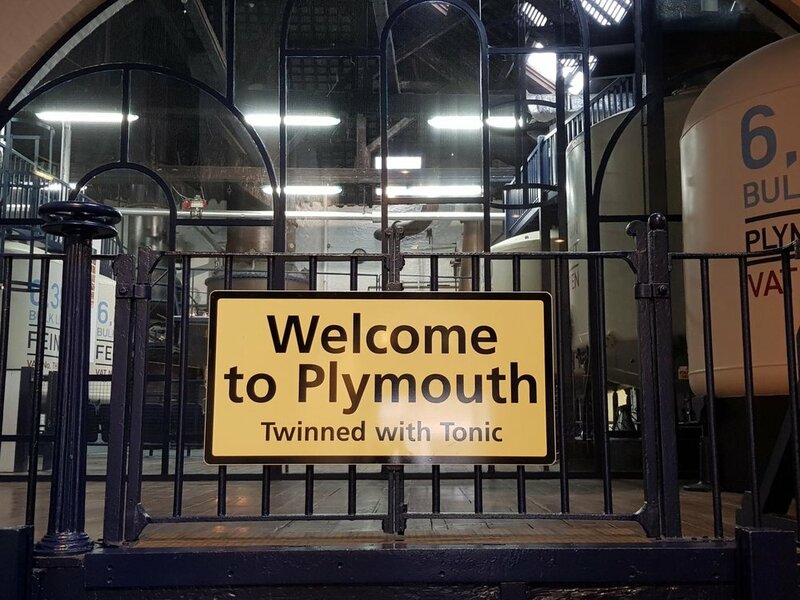 Gin is usually mixed, at the very least, with tonic or used in cocktails but Plymouth Gin can be enjoyed neat or with a little water. 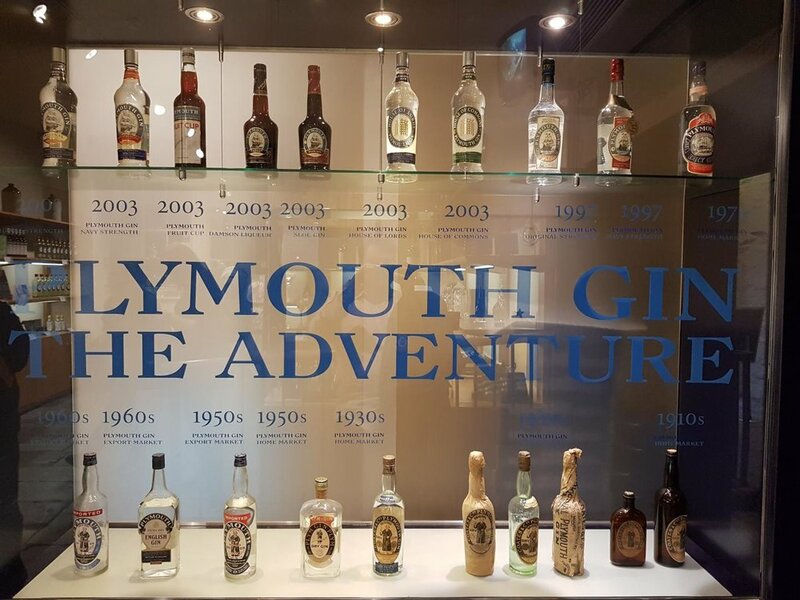 You also get to try the Plymouth Sloe Gin which has an exceptional flavour due to being made using the extremely strong distillate from the stills*. Finally you will receive a voucher for money off in the gift shop and a free drink at the bar. *This is not the method used by most sloe gins. Plymouth bottles throughout the centuries. What better place to purchase some of that gin you've just tried than the shop? I'm not going to dwell too much here as in the end it is a fairly ordinary gift shop. While I'm sure you could get a better deal on their gins in a sale the prices are good† and they are guaranteed to have the entire range. †At the time of writing the average UK supermarket price is £3.30 more per bottle than the distillery store price for a 70cl bottle. The shop also sells 1 litre bottles and the navy strength that is harder to track down. The old refectory has now been turned into a bar. There are a range of cocktails on offer as well as the whole gin range (with or without tonic). 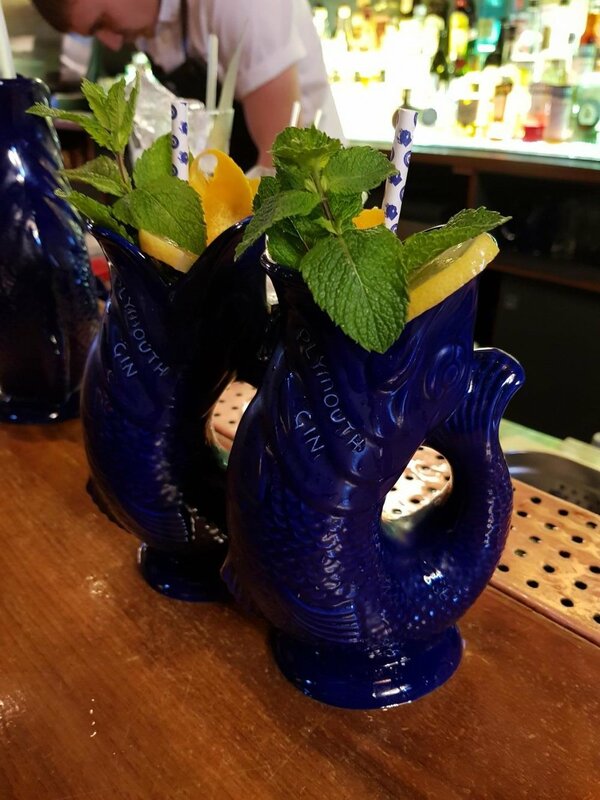 I tried the Gin Pennant cocktail which is served in a ceramic fish. A fruit and gin filled delight that I would heartily recommend you try when you visit the distillery.